Welcome to Eventegg's Ventura guide! Read about the city, its attractions, best spots to dine and shop and plan your excursions now! Surfing in the sun is all you would want to do at Ventura, sitting between the Los Padres National Forest and the Pacific Ocean. Nearby Channel Islands National Park is a great spot for whale spotting, hiking, kayaking, camping, and diving. If outdoor is your calling, then Ventura should top your itinerary hands down any day. Ventura or the city of San Buenaventura was originally inhabited by the Chumash Indians, who referred to it as Shisholop, meaning ‘in the mud’. The establishment of the Mission San Buenaventura by Father Junipero Serra in 1792 gave the city its present name, which is an offshoot of St Bonaventure, and the reason why it is called the ‘city of good fortunes’. As it happened, Ventura’s prominence emerged with the discovery of oil and the setting up of the Ventura Oil Field in 1919. Now it is better known as a sunshine town with a historic Downtown, a naturally sculpted coastline and rolling hillsides. It is the county seat of Ventura County, California, and is located north west of Los Angeles on the California coast in between the Ventura, and the Santa Clara rivers. Ventura looks out to the blue Pacific Ocean along with Malibu and Santa Barbara gazing Anacapa and Santa Cruz islands. Ventura Freeway (U.S. route 101) connects Ventura with San Francisco in the north and Los Angeles in the south. Metrolink commuter rail system and Amtrak are also present. If you are traveling to Ventura by air, there are three nearby airports from where you can reach Ventura. These are Oxnard, Santa Barbara, and Camarillo Airport. Gold Coast Service provides fixed route bus service in Ventura, and adjoining cities like Oxnard, and Port Hueneme. You must pay your respect at San Buenaventura Mission on Main Street. His good wishes changed the city’s fortune, after all. Museum of Ventura County, on the same road will give you a detailed view of the lifestyle of the Chumash Indians of yore. Tribal artefacts are also on sale. Both Bell Arts Factory and Ventura Hot Glass Studio are contemporary art haven. Resident artists run introductory courses for children. If you like being haunted, then you must take the guided tour of Olivas Adobe, nearly 200 years old adobe style house rumoured to be a residence of spirits. The nearby Channel Islands has facilities for kayaking and diving. Its underwater caves make diving a thrill of a lifetime, with dolphins keeping you company. You must also visit the Channel Island National Park; there are whale spotting activities in season along with camping and fishing trips. And of course there is surfing which you should go for. But be sure to check out the weather forecast before venturing out to surf. Ventura prides on being an International Book City, and there are more bookstores in the city than any other place in Ventura County. You must drop in one. The Rubicon Theatre Company on Main Street is the place to go to, if you want to watch a show. All of Ventura Country frequents this show house as it is the sole theatre of the region. The Great Pacific Iron Works is also another place which you must not miss when visiting Ventura. Corazon Organics and Heirloom Antiques on Main Street are places to go to if you are looking for organic fabric, and historic artefacts. Then there is the Main Street that houses many stores and boutiques where you can get lucky. The Pacific View Mall in between old town Ventura and Oxnard, and the Camarillo Premium Outlets at Camarillo are places which shall offer you a comprehensive shopping experience. Busy Bee Café will give you a bite of classic American food. Winchester’s Bar and Grill is the place where everybody go to. At Johnny’s you can get Mexican cuisine, and for Italian there is Tony’s Pizza. Taj Café provides Indian cuisine. The nearby Oxnard has a cruise ship port, and you can take the cruise of your preference down the California coast. The Santa Barbara airport, just 15 minutes down the city has flights to Los Angeles, San Francisco, Denver, Las Vegas, Salt Lake City, Phoenix to name a few. Be sure to put on a warm fleece jacket before you go visiting Great Pacific Iron Works. It is advisable to do most of your shopping at Main Street as the prices there are relatively lower as compared to the rest of Ventura. 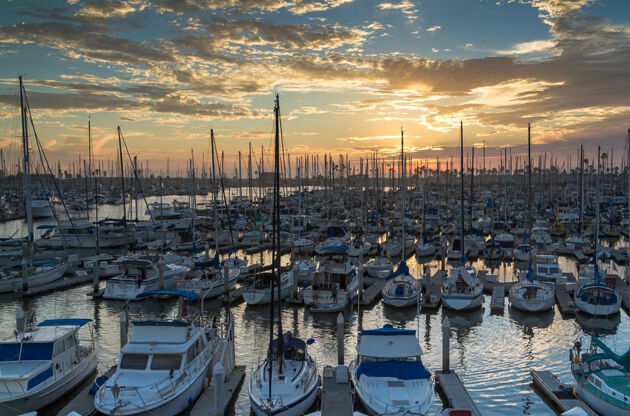 The charm of Ventura captures all of the event attendees who come to the city to join an international congress, conference, symposium, fair or tradeshow. When the number of high quality hotels and high tech equipped venues are also taken into consideration, it becomes crystal clear why Ventura has been strengthening its place among the best cities to hold international events in the U.S.